Here we discuss decentralized exchanges, as transactions are the backbone of the cryptocurrency market, and current exchanges present a weak link in the philosophy of decentralization. On an architectural level, decentralization means that there is no centrally-controlled server(s), and the networks’ nodes are distributed. Currently, perhaps the only truly decentralized exchange is the Blocknet “BlockDX”, as other attempts do not decentralize all four functions. Currently, Decentralized Exchanges are still far off from achieving the liquidity, scalability, and functionality needed for mass adoption. However, current attempts built for Ethereum-based tokens include 0x Protocol, Kyber Network, EtherDelta, BlockDX by Blocknet, and Radex. One unique DAO-based platform is IDEX. Decentralized Exchanges in early development include the Waves Platform, Binance Chain, and OasisDEX, which is built by MakerDAO. 0x solves this problem with a hybrid method where order matching is done off-chain with an intermediate party and then using the blockchain for the actual trade. Kyber solves this problem by using Smart Contracts and reserves. Unlike 0x, Kyber does not use off-chain matchmakers, and instead, all reserve transactions are managed by Smart Contracts. Reserves provide liquidity, and a singular reserve is held by Kyber. Additional reserves can be public or private. With EtherDelta, the order book matching (one of the four key functions) is handled by centralized EtherDelta servers. Due to this centralization, orders in the order book can be censored, meaning that the censorship-resistance philosophy is made moot, but the security benefit of controlling your own funds remains. The 0x project is similar to EtherDelta, with the key difference being that 0x provides a multi-national chain, where many exchanges can collaborate to build a larger order book taking advantage of a shared liquidity pool. 0x has the same centralization concern of EtherDelta, whereby the centralized servers of an individual exchange handle order matching. OasisDEX is a competitor to IDEX, as it is built by MakerDAO and aims for similar levels of decentralized interactions alongside decentralized governance. However, OasisDEX is only in alpha stage and their GitHub is not seeing any recent developments. Soon, the “Binance Chain” will be released, which claims to provide a DEX. Once Binance Chain is live, Binance Coin (BNB) will be swapped with a new coin based on the Binance blockchain at a 1:1 ratio. Since the plans were announced in March 2018, there have been no updates, though Binance Chain is unlikely to be fully decentralized, since capital deposits will be made to Binance, and Binance itself will not convert to a decentralized model. Further, as Binance practices freezing funds to comply with regulations and prevent theft, this means that there is centralized control over funds. To our knowledge, BlockDX is the most decentralized platform, as all four functions of the exchange are decentralized. Further benefits include a partnership with 0x that enable interoperability with Ethereum tokens. For peer-to-peer trades without a central escrow, Blocknet uses atomic swaps, discussed earlier, in a technology called XChat. Blocknet also creates an inter-chain overlay using XBridge, which provides a DHT-based peer-to-peer network. Importantly, BlockDX comes with a decentralized API that you can connect to over localhost without permission, allowing for truly decentralized trading. Without central processing of the exchange functions, authorities such as taxation and regulation bodies have no power over a DEX. If DEX’s were to be massively adopted and replace centralized exchanges, that would mean hundreds of billions of dollars escaping the purview of taxation and regulation bodies. In effect, this would mean that the platform users, rather than rent-seeking authorities, would control the funds. These rent-seeking authorities have already exerted massive efforts to stop the blockchain revolution and maintain their control, such as India and China banning crypto. Other attempts of maintaining control include government-run cryptocurrencies without much transparency, such as the asset-backed petro cryptocurrency of Venezuela. Further, traditional mega-corporations are creating permission blockchain ecosystems, such as IBM. Many exchanges claim to be moving towards a decentralized model, defending their current centralization by saying that centralization speeds up development. Whether or not this is true is up for debate, as entire protocols will now have to be re-written to shift to decentralization. The ideal model for a DEX would be a Decentralized Autonomous Organization (a transparent, shareholder controlled, computer-represented organization that is a more complex version of a ÐApp). This would ensure full decentralization of all aspects of the exchange, and users would have the decision-making power instead of any central body. Proof-of-identity becomes a non-trivial problem with a DEX, and especially a DAO exchange. One solution is with Decentralized Identities (DIDs), which make identifiers and names self-sovereign to their owning entity. Existing DIDs include NuID, Identity.foundation, and Sovrin. The current identity handling that many supposed DEXs are using is through email sign-ups – the same as most sites (i.e. sign up with your Gmail). However, any service that requires your email, or any asset running on centralized servers, is not fully decentralized. 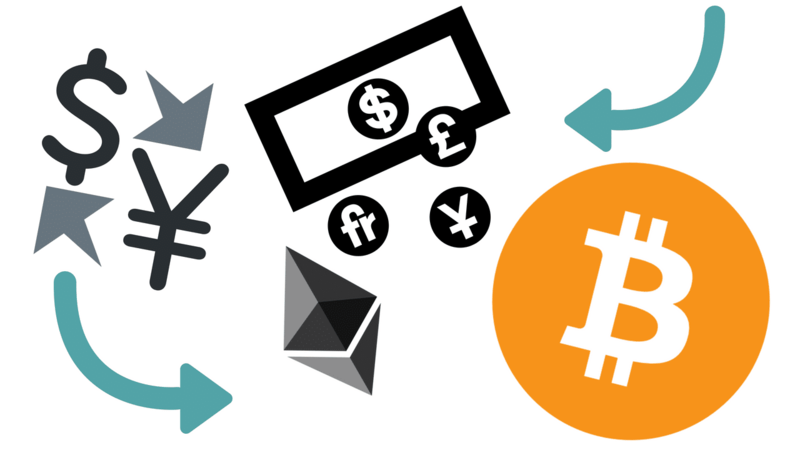 First off, creating a crypto exchange requires that the four fundamental functions discussed earlier are built: capital deposits, order books, order matching, and asset exchange. These include allowing users to control their own funds, running the network on multiple nodes, not revealing a user’s identity, and integration with existing wallets. Then, a front-end is built that matches user input, such as clicking a “buy” button, to the Smart Contract functionality in the back-end. The above is fundamentally how any DEX is built, though even a single point of centralization introduces new vulnerabilities. Besides the technical creation of the DEX, it requires a governance model, which can be up to the creators, or up to the users, as in a DAO. Further, the exchange has to achieve “network effect” to become scalable and maintain high enough liquidity for serious use. BlockDX describes their order system as a “decentralized state machine”, where the first step is placing an order, which will be canceled or accepted depending on service node polls, market makers, whether the broadcast was received, and whether the recipient accepts or cancels the order. Initiator creates secret X and hashes it to create H(X). The initiator also creates public/private key pair (pubkey i1, i2 / privkey i2, i2). Responder creates public/private key pair (pubkey r1, r2 / privkey r1, r2). Initiator shares H(X) and pubkey i2 with responder. Responder shares pubkey r1 with initiator. TxAb can be redeemed after time T2 with privkey i1. At any time TxAb can be redeemed with signature from privkey r1 and reveal of secret X.
Initiator broadcasts TxAb onto the network. Responder confirms TxAb. Responder creates TxBb. TxBb can be redeemed after T1 time with privkey r2. At any time TxBb can be redeemed with signature from privkey i2 and reveal of secret X.
Responder broadcasts TxBb onto the network. Initiator creates TxBp which spends TxBb using privkey i2 and secret X. With the revealed secret, responder can create TxAp which spends TxAb with privkey r1. To simplify the above: Users are in control of their own funds and broadcast orders to the network from their end. The security and encryption aspects of this process are handled on the user-end, as there is no centralized server. With the framework and definitions presented in this guide, you’ll be able to make the distinctions between a true DEX and a centralized exchange for more informed decision-making.